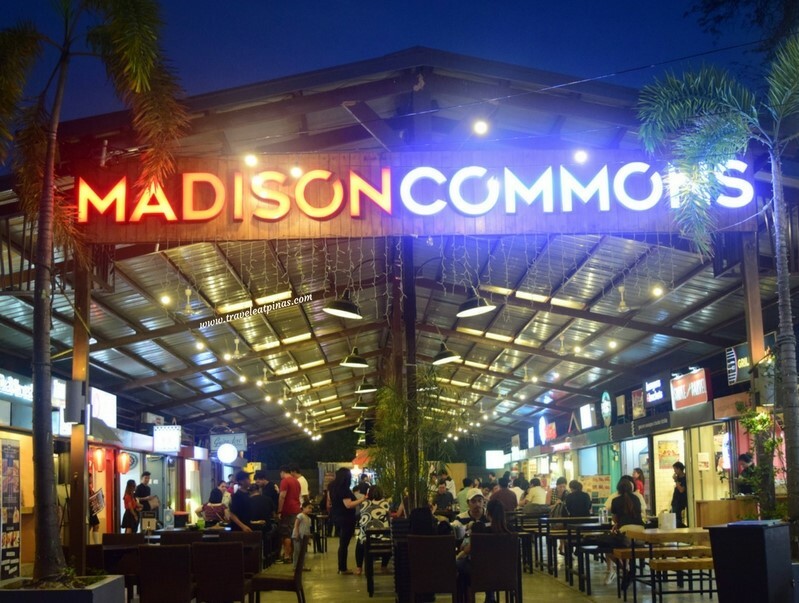 Madison Commons Food Park is one of the newest food park based in the food capital of Pasig City, Kapitolyo. Unlike the other food parks in the metro, Madison Commons has a serene and quiet ambiance where their guest can loosen up and unwind after a day full of errands or catch up with family and friends without being bombarded with loud music and noise from the crowded area. 1. Board a Jeepney going to Pasig. Jeepney fare costs PHP 8.00. 2. Alight in Pioneer Street. 3. Walk in Pioneer Street until you reach the service road. 4. Turn left to the service road. 5. Walk until you reach Brixton Street. 6. Turn right to Brixton Street and walk until you reach the food park. 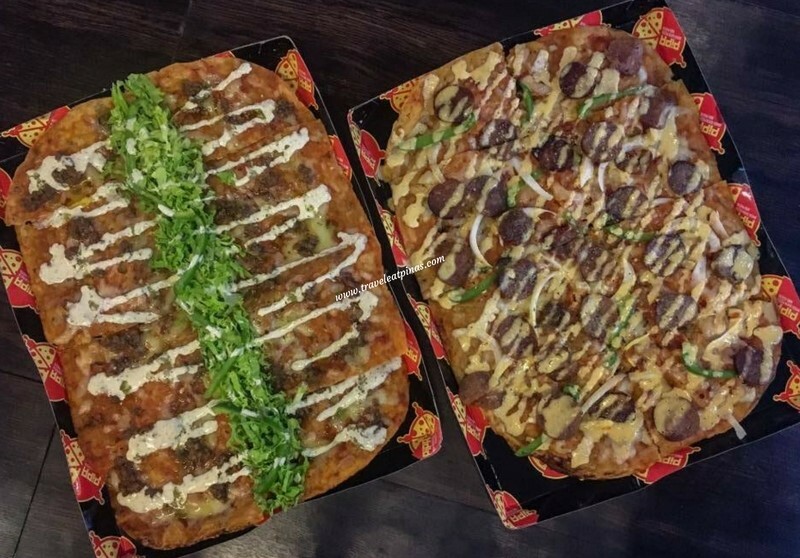 The food park is spacious and has 30 food stalls that offer different kinds of Filipino, American, Asian and Mexican dishes. 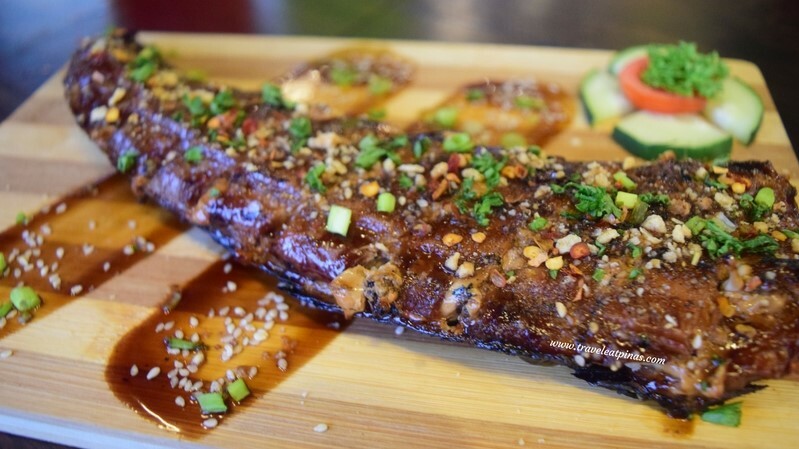 To guide you on what to eat in Madison Commons Food Park, Travel Eat Pinas listed the MUST TRY dishes that you can savor when you visit the food park. 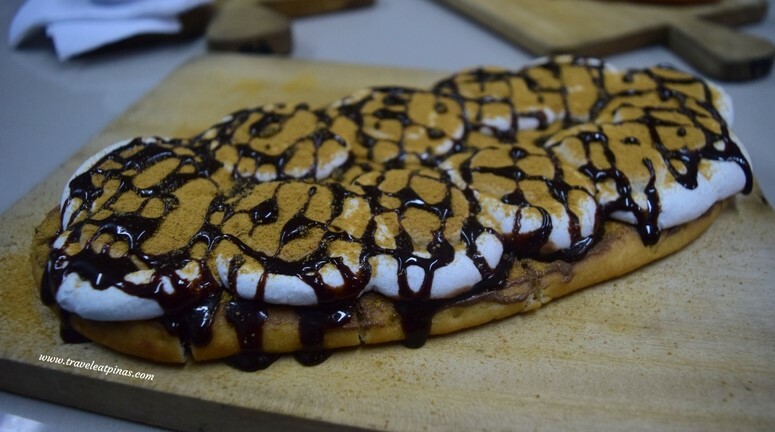 Indulge in a sweet treat with Flat Bread's SMORES. Small Size costs PHP 70 and Big Deal is at PHP 130. 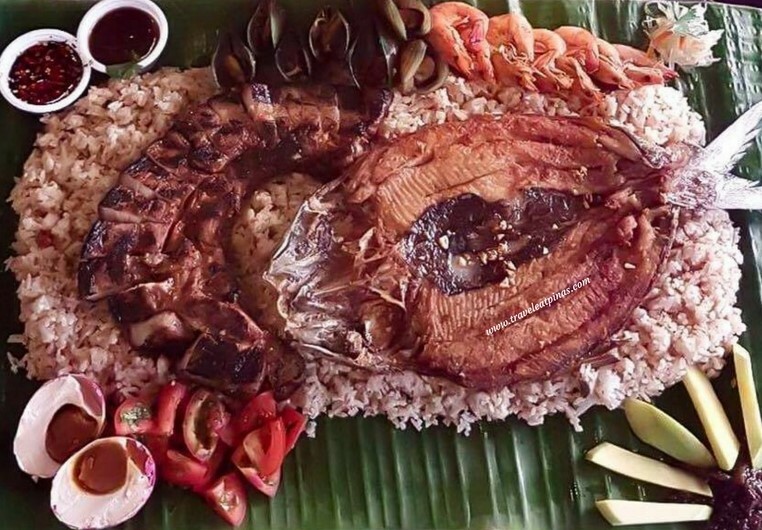 Mix Boodle of Tata Boy's has Bagoong Rice, boneless Bangus, Liempo, Shrimp, Tahong and Bagoong with Manga. 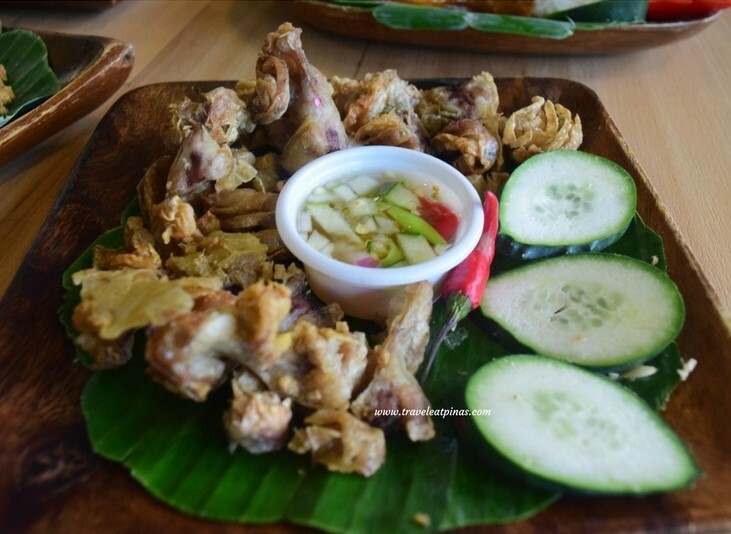 It is served in the traditional style of Philippine Military Academy buffet wherein the food is spread over a banana leaf and eaten with bare hands. 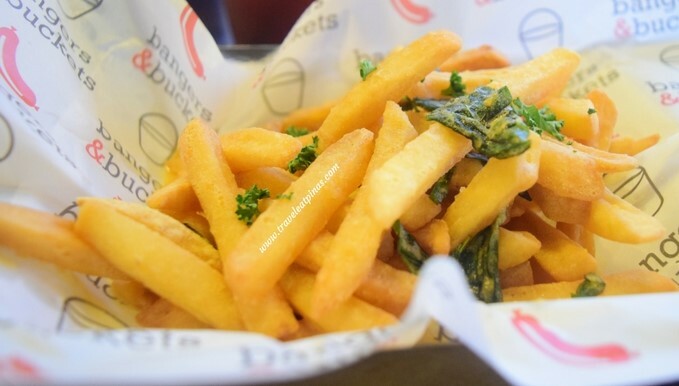 This meal is good for 2-3 person and costs PHP 599. 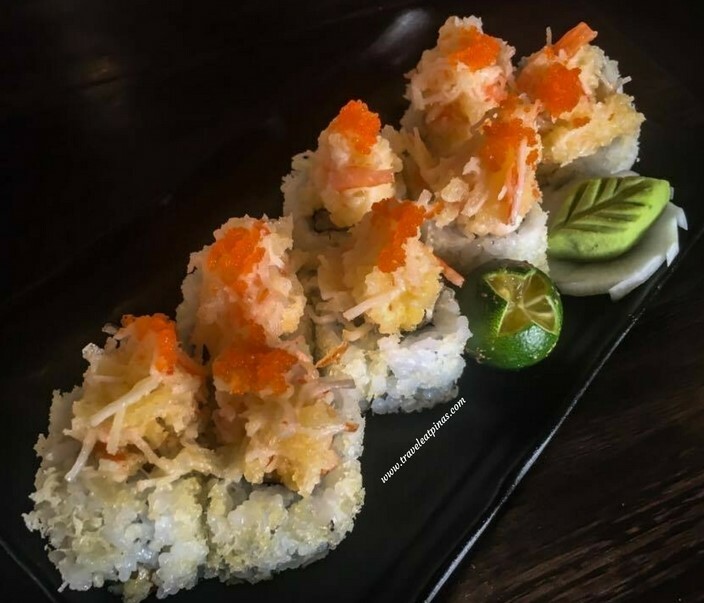 Unlike the usual California Maki sold in the market, Oneesan Simply Japanese' Crazy California Maki has texture and crunch in every bite. 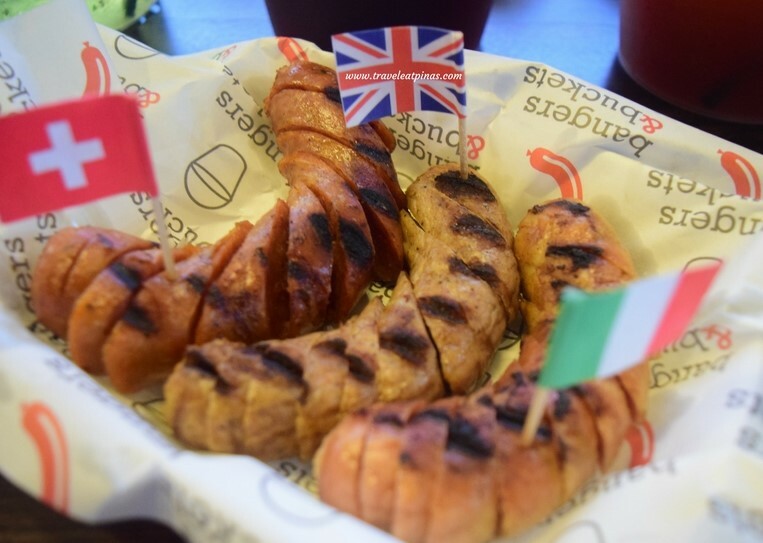 Choose three sausages from Bangers & Buckets and two side dish. 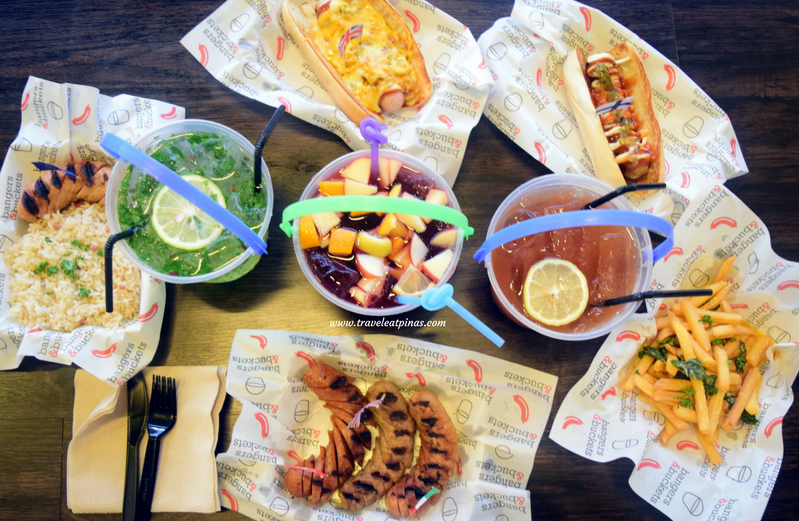 Three Sausage Platter costs PHP 395 while Two Sausage Platter costs PHP 295. Indulge with Pipa House's mouthwatering pizza. Pipa Pizza has overloaded toppings, crispy crust and oozing with flavors. Fried Pizza costs PHP 149 and PHP 199. 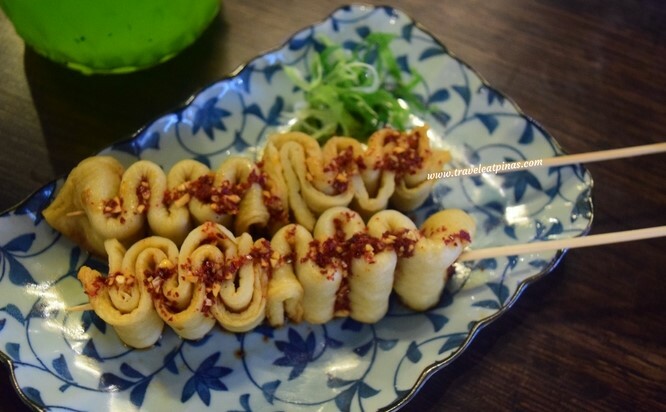 Taste one of the famous Korean street food, Eumok, and other comfort dishes at Yeongyang Hansik. Eumok costs PHP 89. Juicy and well season grilled Tuna perfect for dinner and "pulutan." Wow Tuna Bar and Grill's Grilled Tuna Belly costs PHP 205. 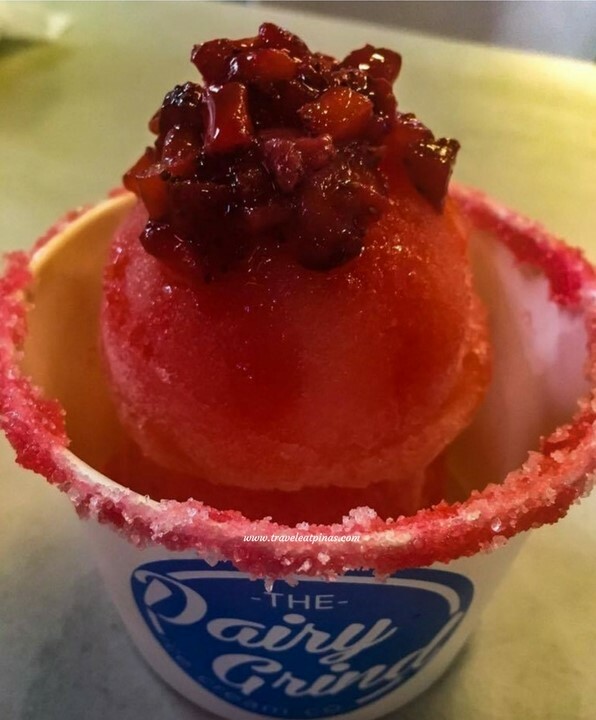 Ice cream with a twist that's strawberry ice cream with tequila base of the Daily Grind. 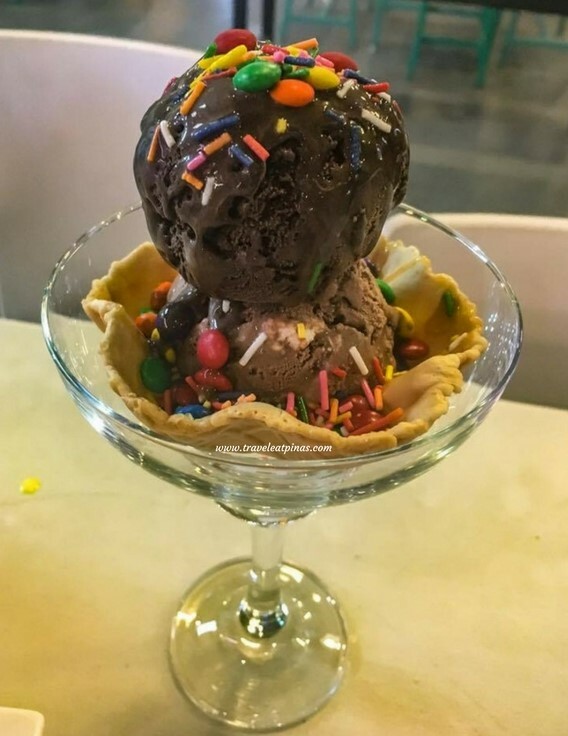 Choose two scoops of ice cream, a topping, and syrup of your choice to create your very own version of Joseph and Gelo's Waffle Sundae. Waffle Sundae costs PHP 80. Ending the day with a bottle of beer and some Filipino street foods like Pork Barbecue, Isaw and Bulaklak of Grill Station will be a bliss. 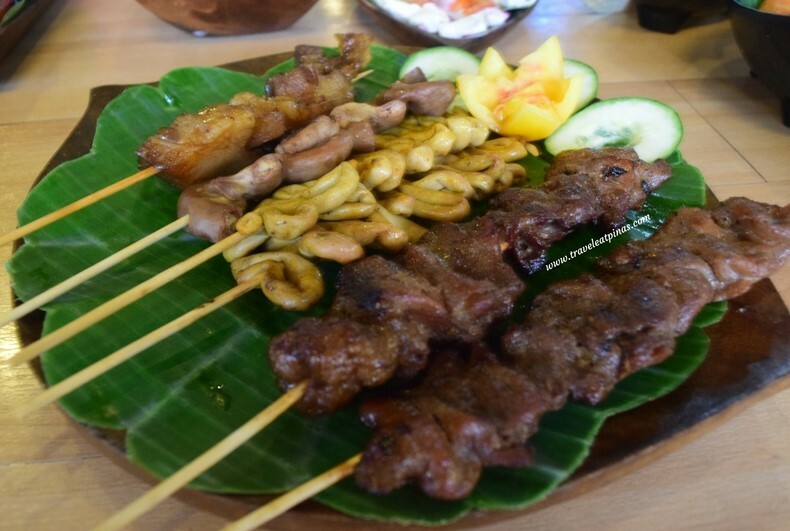 Pork Barbecue costs PHP 40, Isaw is at PHP 30 and Bulaklak costs PHP 120. 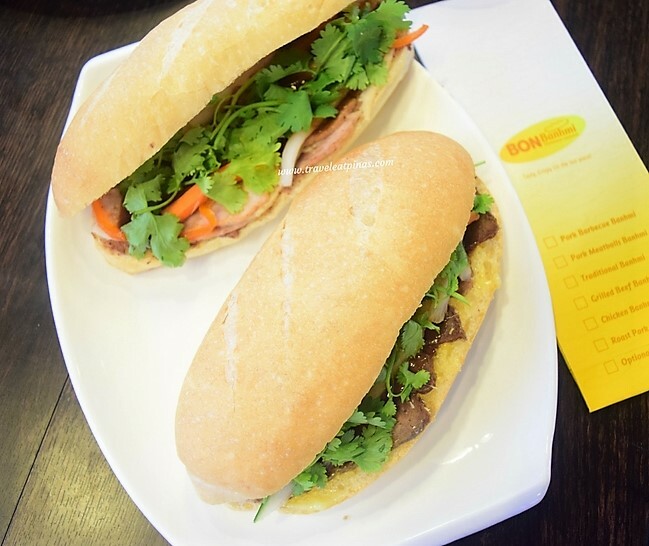 Enjoy a flavorful and crispy Vietnamese Bread at Bon Banh mi. 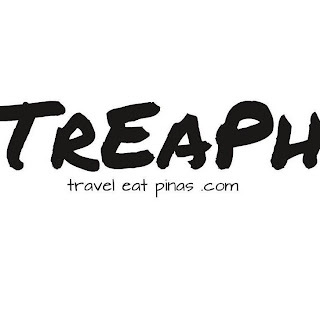 Large Banh mi costs PHP 199 while medium costs PHP 99. 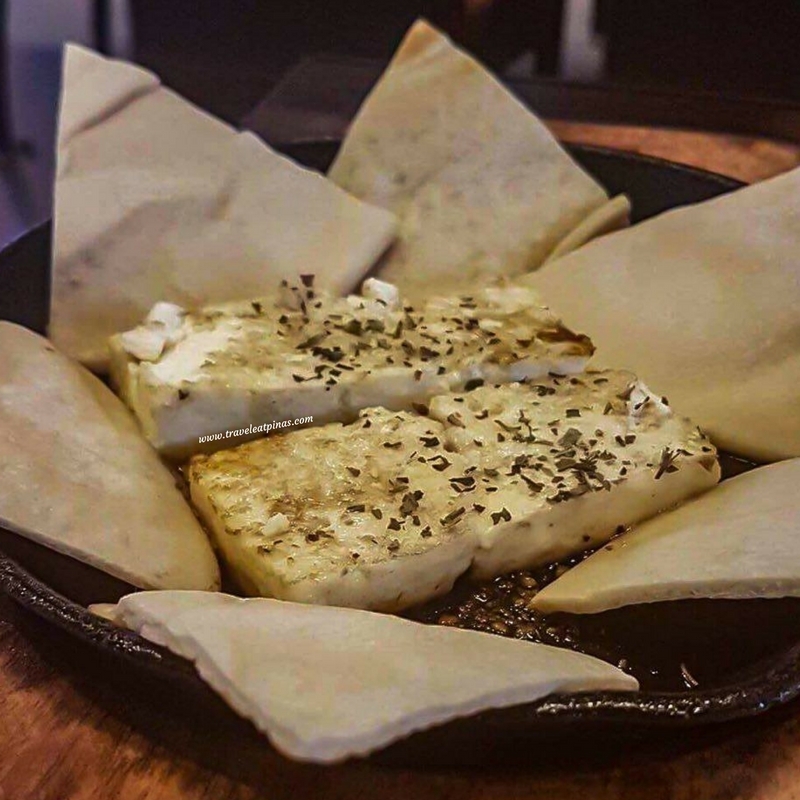 Turn your ordinary pita experience to a next level by trying Fried Cheese with Pita of Persiana. Fried Cheese Pita costs PHP 125. 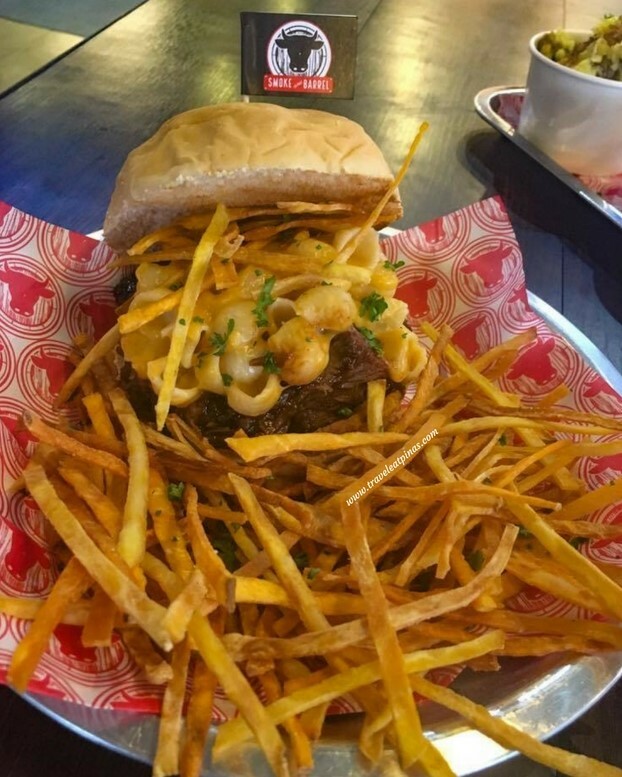 Smoke and Barrel's The Beast will surely make your mouth water with its juicy smoked Angus brisket, caramelized onions and mac and cheese in a bun plus shoestring fries and special house blend bbq sauce. The Beast costs PHP 180. Bacon wrapped lasagna roll with three cheese and tomato cream based sauce of Daddy's Favorite will surely satisfy your cravings for bacon and comfort food. Bacon-eater Lasagna Rolls costs PHP 180. 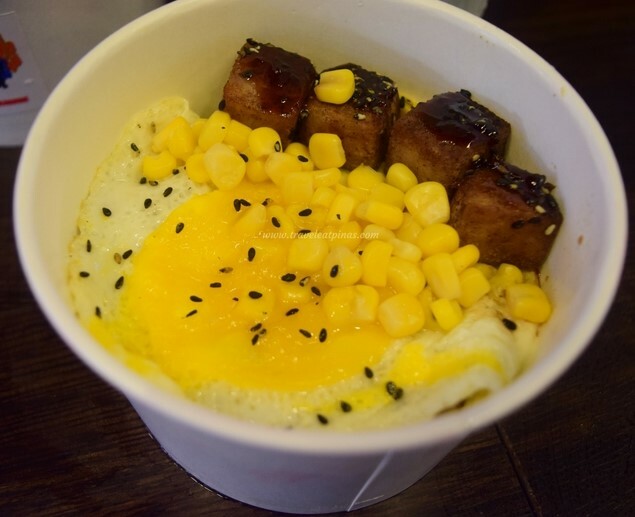 Dig in to Ohana's flavorful steak rice topped with egg and perfectly seasoned wagyu cubes.Wagyu cubes with rice and egg cost PHP 210.